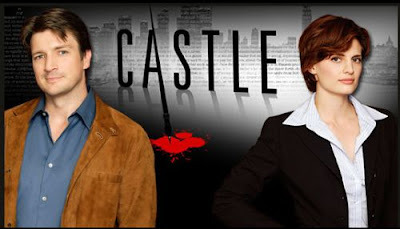 BACKTOFRANKBLACK.COM: Lance Henriksen Guest Stars on ABC's "Castle" Tonight! Lance Henriksen Guest Stars on ABC's "Castle" Tonight! In a must-see episode for any Lance or Ten Thirteen fan, Lance Henriksen guest stars in tonight's brand new episode of Castle on ABC. The episode, entitled "Close Enounters of the Murderous Kind", also features Lyle Lovett as a federal agent, whilst Lance's character is a "super nerd" and expert on alien abduction! In an interview with TV Guide, creator and executive producer Andrew W. Marlowe explains how the episode is quite explicitly a nod to The X-Files. This, coupled with the inclusion of Lance Henriksen as a guest star, makes this a highly significant televisual event for Ten Thirteen fans and followers of Back to Frank Black, exemplifying the enduring appeal of both Chris Carter's creations and Lance Henriksen himself. You can watch a sneak peek preview of the episode at ABC's website, and it airs tonight at 10/9C plus will thereafter be available to view online. Don't miss it! 1 Response to "Lance Henriksen Guest Stars on ABC's "Castle" Tonight!"